How to tech in Smash Ultimate? That is an absolutely essential technique. Whenever a player is knocked down, it gives their opponent the chance to continue their punish, following up on the stationary character with more combo moves that could even lead to death. Teching can save a player from that horrible fate. Here's how to do it. Teching in Smash Ultimate is as simple as it is essential. Whenever your character gets hit hard enough, they'll be put into tumble. Landing while in tumble will put the character in knockdown, which just means they're lying on the floor. This is one of the most vulnerable positions a player can be in. Teching helps you avoid it. To tech, simply press any shield button (usually L or R) 20 or fewer frames before hitting the ground. Because there are 60 frames per second in Smash Ultimate, that means pressing the button no more than a third of a second before landing. While this sounds difficult, the window is actually fairly lenient. Keep practicing and you'll get the hang of it quickly enough. Once you've mastered teching, try holding the control stick either left or right when you tech. This will let you tech and instantly roll the direction you're holding, allowing you to mix up and escape your opponent. 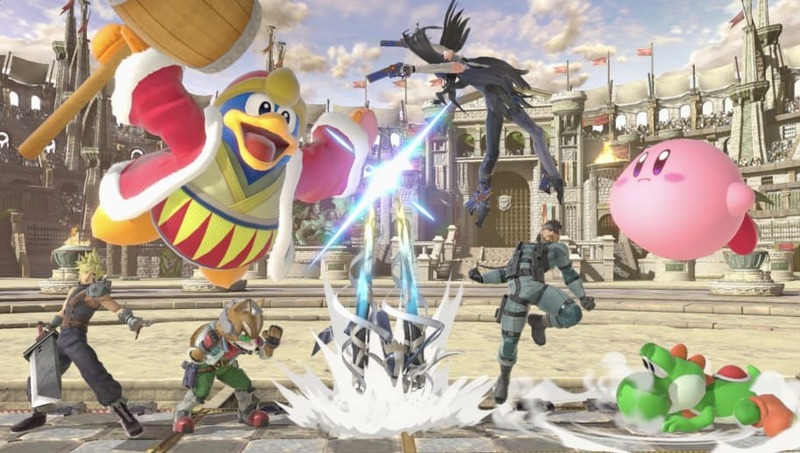 Mix in all three tech options — left, right, and in place — and you'll improve your defensive Smash game by leaps and bounds.